Board certified in pediatrics, Dr. Widjaja made the decision to become a doctor early on in elementary school. Even at a young age, he was impressed with the skills and medical care that his own Pediatrician provided him while growing up. It was his Pediatrician that influenced his decision to work with children. "I enjoy watching my patients grow up and appreciate the trust their family places in my hands as their physician. I believe it is important to work closely with the family as a team to provide the best care possible for their child." After completing medical school and residency in upstate New York, Dr. Widjaja decided to move to California to be close to his family. 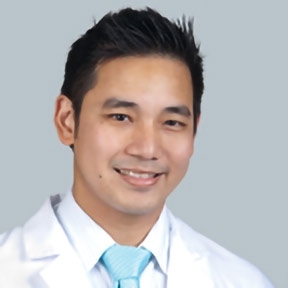 In his spare time, Dr. Widjaja enjoys spending time with his wife and family. His hobbies include watching football, playing tennis and biking. Great but long wait time.